its an orignal product from mahindra’s partnar Sangyong Tivoli. 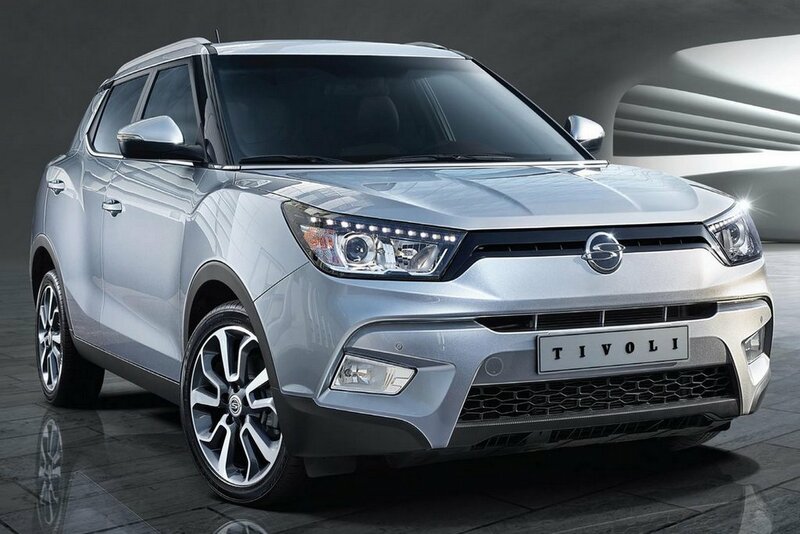 Ever since it was unveiled, it appeared to be a product that could also make way to India and we had some sneaking bits that Mahindra, along with other cars in the Korean’s stables, is also considering its youngest – the Tivoli for our market. 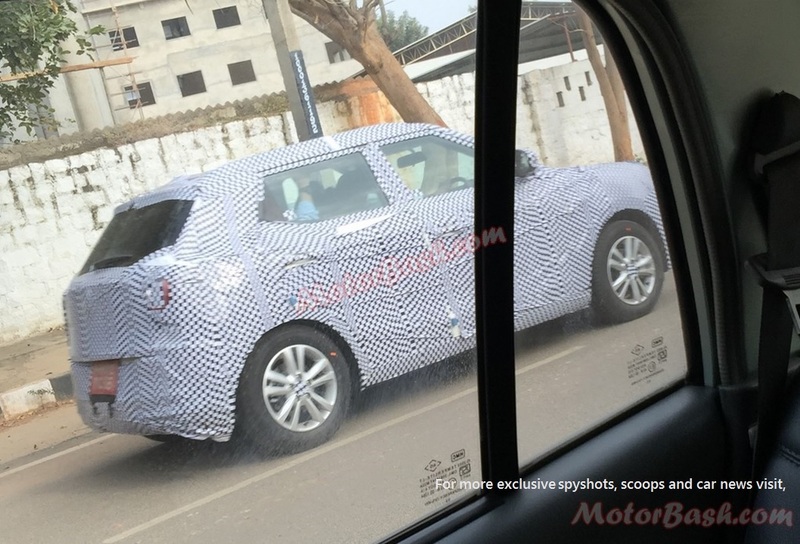 Here we have the first ever spyshots of Tivoli from Bangalore spotted and shared by one of our avid reader Krishna. Tivoli is around the size of Duster and Creta and will form an interesting preposition in this segment, just over theTUV300. Engine details are not known at this point but we believe, along with TUV’s 1.5 liter diesel engine, it will also carry a petrol motor, most probably the 1.5 liter engine which Mahindra has confirmed, is in the making! Tivoli does look aggressive in its design and better than both Duster and Creta but for some reason, it appears way too low here.. or is it too loaded for testing purposes? Unlike Mahindra’s indigenous products, which are caught extremely bare-bones initially and gain form in a year or two, testing on the roads, Tivoli, being a Ssangyong product is almost production ready, at least in form. What will be put to test here will be the engines along with all the parts which will be sourced from and for India.